Excerpt from poster advertising the event. Rev. 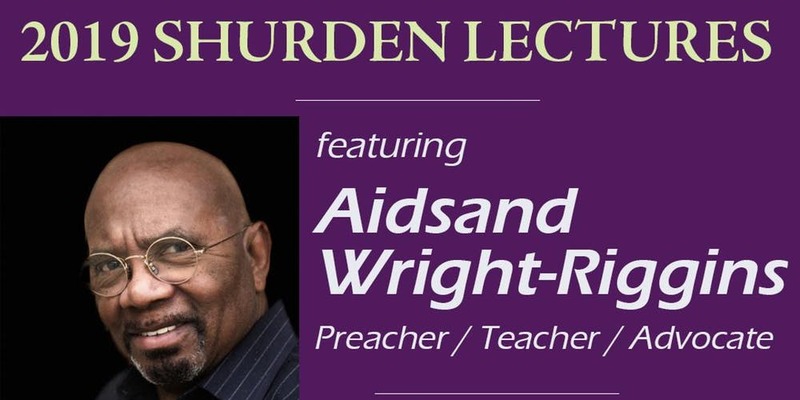 Dr. Aidsand F. Wright-Riggins III, who has more than 40 years of community and congregational service, came to William Jewell College to discuss religious freedom at his event, “Right-sizing Religious Liberty and Why It Matters.” This lecture was part of the Baptist Joint Committee’s 2019 Shurden Series of lectures. Wright-Riggins is the former CEO of the American Baptist Home Mission Societies, he served 20 years as a pastor at Macedonia Baptist Church in South Central Los Angeles and he served on the board of the Baptist Joint Committee for 20 years. He is currently the first African-American mayor of Collegeville, Pennsylvania. During his lecture, Wright-Riggins criticized how the “political and religious right” have hijacked religious freedom to suppress other kinds of freedom, and noted that although America has religious liberty, some religions receive more benefits than others. As an example, he provided an anecdote of a Muslim friend of his who had received threats and had his store vandalized because of his religion. He also proposed some solutions to this problem. “In the fight for religious liberty, may I suggest we get woke,” Wright-Riggins argued. After the lecture, there was a reception where Wright-Riggins talked with students and answered some of their questions. Overall, his lecture was well-received, despite some minor disagreements about smaller details, and the discussion held afterward was a valuable experience for all in attendance.